Matt Kuhns wrote to me asking about fake comics. That is, has anyone been caught selling a forgery of, say, Action Comics #1? The only "fake" comics I've personally seen were official reprints that someone tried to pass off as original. I've never seen one in a comic shop, but they show up on eBay all the time. Usually someone responds with "Uh, dude, you know that's a 1987 reprint, right?" and they take them down, often claiming ignorance. Doing a little more research, I'm to understand that there have been a few actual fakes that come up from time to time, but the issues they claim to be were no older than the late 1960s, and mostly from black and white indie books like Cerebus or Teenage Mutant Ninja Turtles. 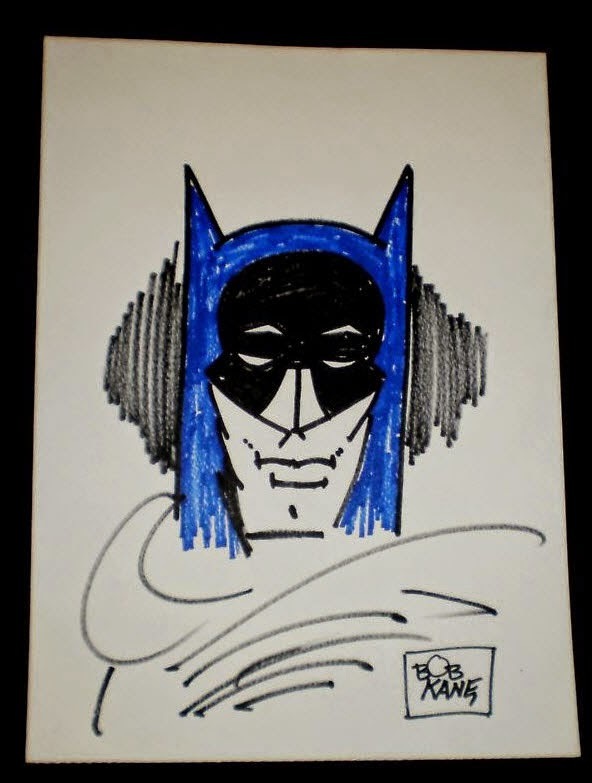 I've seen a number of people try to sell original comic art that were deliberate forgeries. They're usually easy to spot, especially since the artists that are generally copied were super-prolific and there are TONS of examples to cross-check. The big forgery market in comics, though, is in "production proofs." Basically, stats of the black line art, often with the lettering removed, that are claimed to have come from the original production of the books. Why they remove the lettering, I don't know, because that's an obvious giveaway that it's not original anything. But what these guys will do will basically just go through the entire 60s Marvel catalog, one page at a time, and by the time they get through them, no one's around to remember that they already sold the original production proof for the cover of FF #5. I think the reason why there aren't more forgeries in original comics and comic art is because you can't make quite enough money to warrant the risk of being caught. Tens of millions for an "original" Degas, that might be worth it, but a few hundred thousand for Action Comics #1? Maybe not. But "production proofs" are cheap and easy enough to make that it's no big deal to churn them out by the truckloads, and they're inexpensive enough that the police wouldn't take inquiries very seriously. Another wrinkle worth noting is restoration. Later on the book I was reading, Killer Stuff and Tons of Money, has a chapter about the vintage comics market. It suggested that instead of outright reproductions, the craftier cons turn to undisclosed restoration as the next best thing. Now that you mention it, I do seem to recall seeing a few anecdotal stories, too, along those lines. Most of what I recall, though, was from the 1980s when someone would wrap an old/classic cover around a worthless comic. Obviously, this didn't work on close inspection, but that was easily "solved" with a polybag taped shut.